In 2017, Congress and President Donald Trump enacted significant deficit-increasing tax cuts that largely benefit profitable corporations and wealthy taxpayers and provide little benefit to the rest of us. 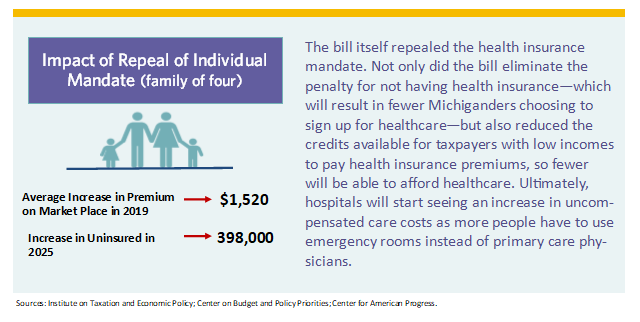 Ultimately, this tax plan increases taxes on many Michigan residents while putting services we all rely on—healthcare, food assistance, housing and education—at risk. 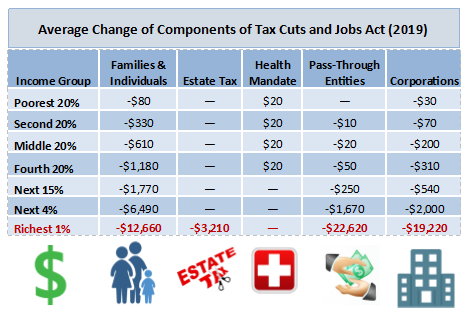 The Tax Cuts and Jobs Act enacted sweeping changes over a number of different tax policies, including taxes impacting families and individuals, the estate tax, the repeal of the mandate to carry health coverage (including the penalties for not carrying coverage and the credits to help taxpayers with low incomes afford coverage), taxes on pass-through entities, and the corporate income tax. 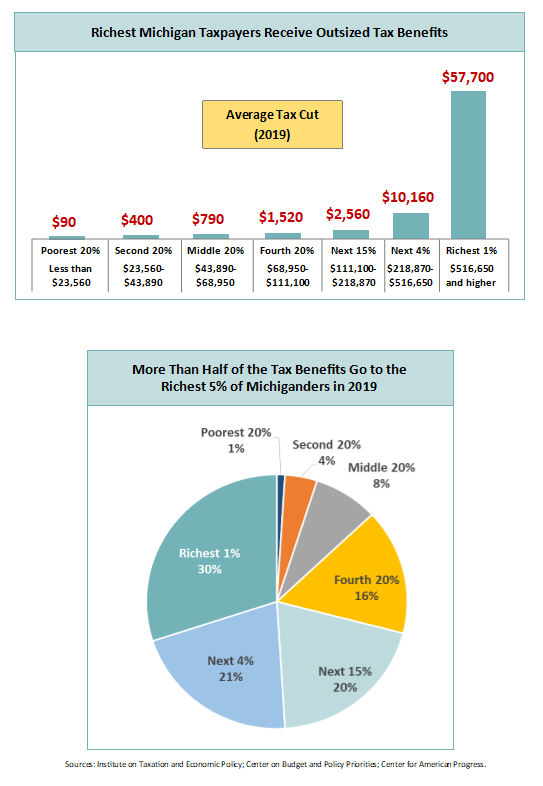 However, most of the tax changes disproportionately benefit high-income earners. For example, the estate tax changes will only benefit about 100 of the wealthiest estates in Michigan (about 0.1% of estates). Only about a quarter of the corporate income tax cuts are likely to flow to workers—most will benefit share-holders, high-level executives or managers, or be put back into the company. 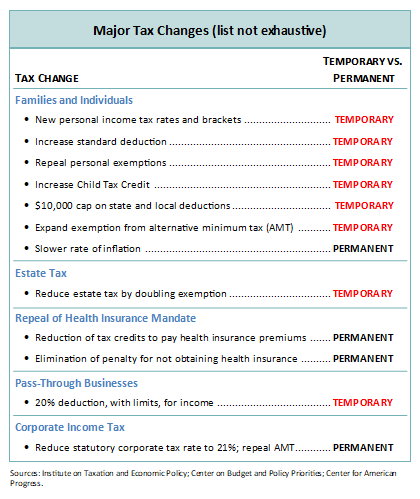 And while the changes for corporations were made permanent, many of the changes impacting individuals were temporary, meaning the tax cuts enacted will disappear over time. 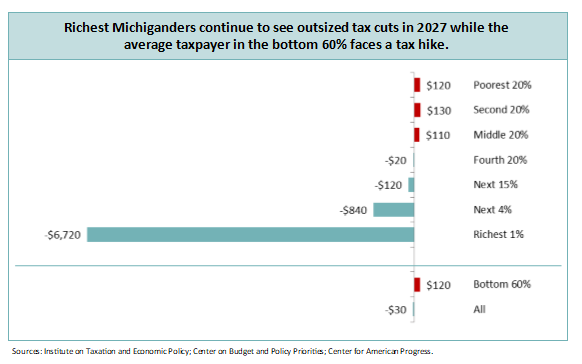 Because most of the personal income tax benefits under the new tax law are temporary, many Michigan residents will start seeing their tax cuts shrink over the next couple of years, and by 2027, more Michigan residents will pay higher taxes. 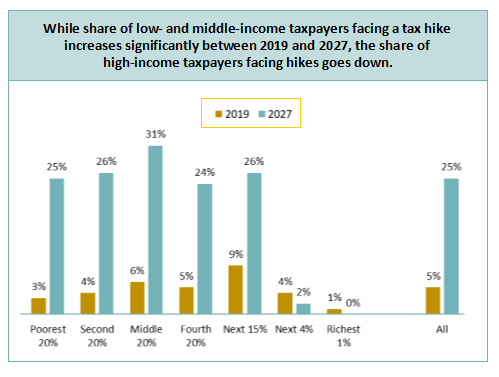 In fact, by 2027, taxes will rise on more taxpayers with low to middle incomes, but fewer wealthy taxpayers will see tax increases. 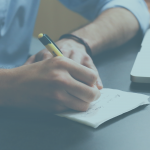 The Tax Cuts and Jobs Act tax bill is a one-two punch: tax cuts to the wealthy will result in fewer services being available to the rest of us. 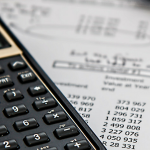 The bill is also likely to increase the federal deficit by over $1 trillion over the next decade. As the deficit increases, we will likely see cuts to services we all care about—such as housing assistance, food assistance, education, highways and bridges, and healthcare.